He is accused of driving while intoxicated when he struck a family on bicycles. 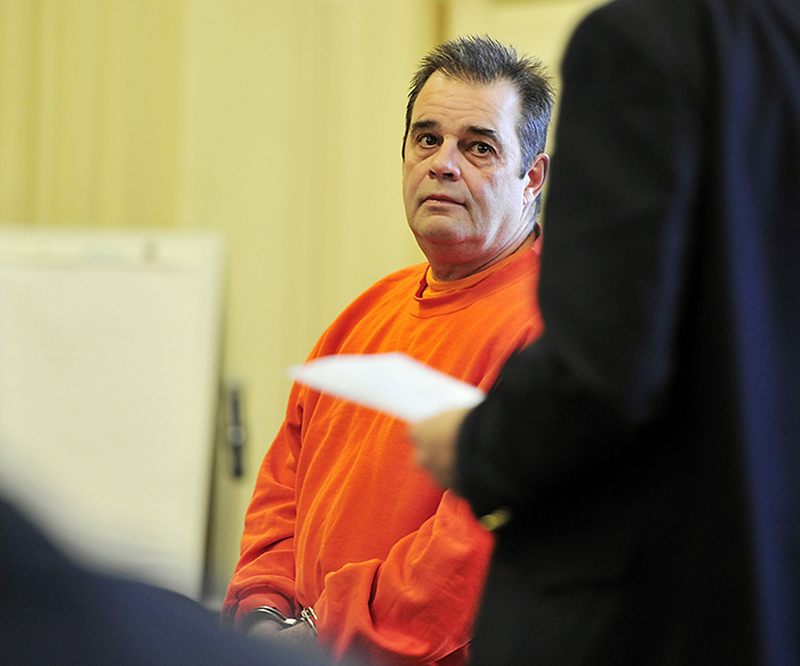 ALFRED — A Biddeford man with a history of drunken-driving arrests pleaded not guilty on Friday to a dozen charges, including manslaughter, in a fatal accident in which he crashed his pickup truck into a family on bicycles last summer. David Labonte, 56, of Cathedral Oaks Drive, appeared in York County Superior Court for the first time since being indicted earlier this month in connection with the Aug. 2 crash. Labonte, who appeared in court with his attorney Neale Duffett, is accused of driving his pickup into the family, who were riding their bicycles on the sidewalk. The crash at 364 Elm St. in Biddeford killed Jamerico Elliott and badly injured his 17-month-old son, Lavarice Elliott. The boy’s mother, Melodie Brennan, suffered less serious injuries. Labonte spoke only two words during the proceeding on Friday, answering “not guilty” when asked by Justice Paul Fritzsche how he would plead to all the charges – manslaughter, drunken driving resulting in death, two counts of drunken driving resulting in injury, two counts of aggravated assault, three counts of reckless conduct with a dangerous weapon, assault and aggravated criminal mischief. The charge of aggravated criminal mischief stems from the damage caused by Labonte after he crashed into the family. His pickup hit another parked pickup so hard that it drove a granite foundation block into a house. Police said Labonte’s blood-alcohol content was 0.15 to 0.17 percent, about twice the legal threshold for drunken driving. Because of prior drunken-driving convictions, he was not allowed to have any alcohol in his system while driving. Labonte’s case drew extra scrutiny because he had previously been convicted of drunken driving four times, although none of the convictions was so recent that his license would be declared invalid. However, he had no car insurance despite being required to have it. An analysis by the Maine Sunday Telegram in August, after the crash, found that more than 5,000 people who have been stopped four or more times for drunken driving may still be getting behind the wheel. That number jumps to almost 15,000 for people who have at least three prior cases of operating under the influence, or OUI.